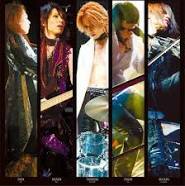 TOSHI & YOSHIKI - Crucify My Love (with lyrics) X Japan. Looked up the words Crucify My Love as I have been crucified. Found this song. It's pretty cool but I haven't listened to it much yet. Crucify My Love If My Love is Blind.